In 1947, the United States of America launched the European Recovery Programme to support the post-war reconstruction of Europe. The Marshall Plan, as it became known after U.S. Secretary of State George C. Marshall, was one of the major success stories of US foreign policy in the twentieth century. The notion of an EU Recovery Programme for Ukraine provoked interest – and division in Ukraine. The enlargement of the EU in 2004 and 2007 demonstrated the EU’s capacity to mount grand economic and political projects. However, since then, the EU has faced difficulties exerting influence and constructing a coherent narrative of its role in the European neighbourhood and the wider world. Would a more transformative aid and development programme for its Ukrainian neighbour offer an opportunity for the EU as well as Ukraine? 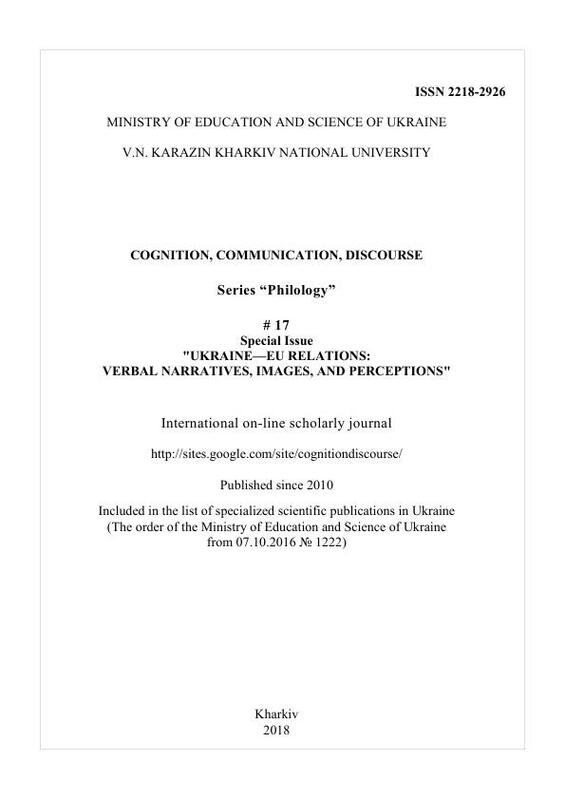 In this article we use a series of elite interviews conducted across Ukraine in 2016-17 to explore how such a notion is understood. We find that Ukrainian elites have mixed feelings about existing EU aid programmes; many respondents resented the conditions the EU imposes, but nor do they want or expect aid to be given unconditionally. Whilst many aspire for Ukraine to reach EU standards of law and prosperity, Ukrainian elites favour self-help in their efforts to forge a stable sovereign state. Both the EU and Russia are understood as metonymies – as standing for two sets of values and geopolitical futures – and neither quite fit what Ukrainians seek. We conclude that whilst a Marshall Plan-style action could have benefits, it is not desired as a basis for a shared narrative and basis of cooperation and development. Barthes, R. (2009)  Mythologies. London: Vintage. Bischof, G., & Petschar, H. (2017). The Marshall Plan—Saving Europe rebuilding Austria: The European Recovery Program. New Orleans: University of New Orleans Publishing. Bliesemann de Guevara, B. (eds.) (2016). Myth and narrative in international politics: Interpretative approaches to the study of IR. London: Palgrave. Burke, K. (1969). A Grammar of motives. Berkeley, Los Angeles, London: University of California Press. Eichengreen, B. (2001). The market and the Marshall Plan. In M. Shain (ed.) The Marshall Plan: fifty years after. Basingstoke: Palgrave, 131-146. Ellwood, D. (2012). The shock of America: Europe and the challenge of the century. Oxford: Oxford University Press. Hoskins, A. (2006). Temporality, proximity and security: Terror in a media-drenched age. International Relations, 20(4), 453-466. Kingdon, J.W. (1984). Agendas, alternatives, and public policies. Boston: Little, Brown. Kitzinger, J. (2000). Media templates: patterns of association and the (re) construction of meaning over time. Media, Culture & Society, 22(1), 61-84. Lévi-Strauss, C. (1955). The structural study of myth. The Journal of American Folklore, 68(270), 428-444. Milward, A. S. (1989). Was the Marshall Plan necessary? Diplomatic History, 13(2), 231-253. Miskimmon, A. (2018). Strategic narratives of EU foreign policy and the European Neighbourhood Policy. In T. Schumacher, A. Marchetti and T. Demmelhuber (eds), The Routledge Handbook on the European Neighbourhood Policy. London: Routledge, pp. 153-166. Miskimmon, A., O’Loughlin, B., & Roselle L. (2013). Strategic narratives, communication power and the new world order. New York: Routledge. Odugbemi, S., & Lee, T. (2011). Accountability through public opinion: from inertia to public action. Washington DC: The World Bank. Ojala, M., & Pantti, M. (2017). Naturalising the new cold war: The geopolitics of framing the Ukrainian conflict in four European newspapers. Global Media and Communication, 13(1), 41-56. Rae, H. (2018). Liberalism and the anxiety of belief. Patterns of Prejudice, 52(4), 293-313. Ross, G. (1975). Party and mass organization: The changing relationship of PCF and CGT. In D.L.M. Blackmer & S. Tarrow (eds.) Communism in Italy and France. Princeton, NJ: Princeton University Press, 504-540. Shanahan, E.A., Jones, M.D., and McBeth, M.K. (2011). Policy Narratives and Policy Processes. The Policy Studies Journal, 39(3), 535–561. Szostek, J. (2018). Nothing is true? The credibility of news and conflicting narratives during “Information War” in Ukraine. The International Journal of Press / Politics, 23(1), 116-135.